Discover the Stelvio, Gavia & Mortirolo passes! Bormio is one of the most popular destinations for cyclists and cycling enthusiasts who want to take on the Stelvio, Gavia and Mortirolo passes, three of the most famous routes in the alps. Moreover, Valtellina has been the home of some of the most important national and international cycling races for several years, including the Giro d’Italia, the Granfondo Internazionale Marco Pantani and Mapei Day - Re Stelvio. Of course Bormio is not only famous for cycling and important bike events! - would you like to relax after a long day on your bike? then visit the Bormio Terme or Bagni di Bormio; the best places to unwind! - visit the Stelvio National Park and discover breathtaking scenery, alpine wildlife and flowers of rare beauty. Lake Garda is a magical place, you can start your ride in Sirmione and proceed direction Desenzano and discover castles and Agriturismi in the Valtenesi all the way to Salò. Don't miss to have a stop at the Rocca in Manerba del Garda for a wounderful scenery. Ask for an offer at the La Quiete Bike Hotel. Long Course: Total lenght 159Km – Altitude 2.044m. 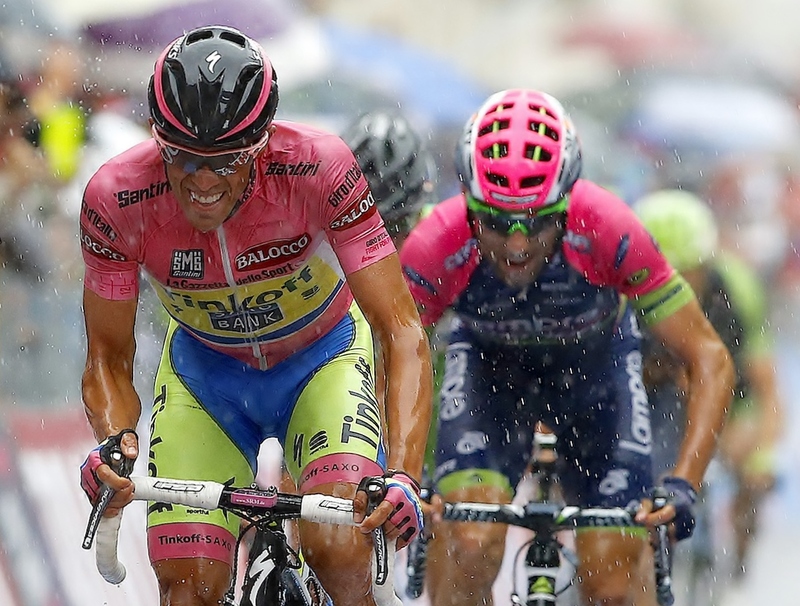 Ride alongside the Contador Foundation team and Alberto Contador winner of the 2015 Giro. You will cycle on routes that have hosted some of the biggest events in international cycling; from the Stelvio to Gavia pass and along the Mortirolo, staying in 4* bike hotel on Half board basis. Includes specialist bike storage, itinerary of guided training routes,laundry service for cycling gear and more! Discover more about Stelvio - Gavia & Mortirolo.